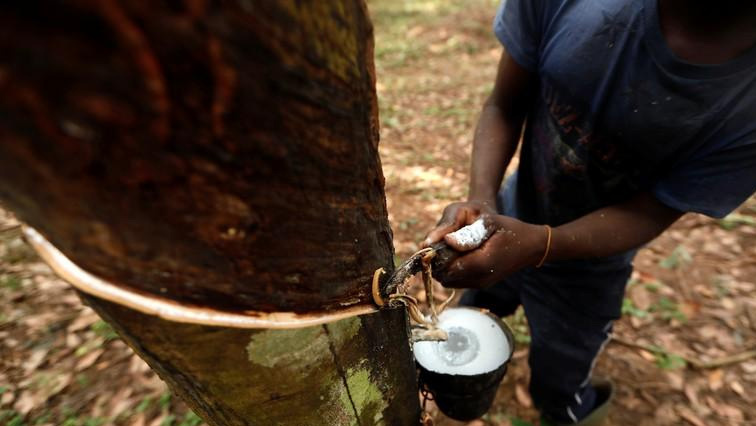 Ghana rubber tapper shows dilemma of child labour - SABC News - Breaking news, special reports, world, business, sport coverage of all South African current events. Africa's news leader. Kojo, now 17, is one of more than 70 million child labourers that the ILO says are active in Africa. When Kojo Muzala’s family were struggling to put food on the table in northern Ghana two years ago, an uncle brought the 15-year-old to the more prosperous south to work on a rubber plantation. Kojo, now 17, is one of more than 70 million child labourers that the International Labour Organisation (ILO) says are active in Africa, many of them supporting large families or keeping key sectors of the economy going. Ghana, with a population of 30 million and exports of oil, gold and agricultural goods such as cocoa and rubber, is one of West Africa’s more successful economies, but poverty remains high. In 2016 the U.N. children’s fund (UNICEF) estimated that 3.65 million Ghanaian children were living in poverty. Muzala usually works at weekends or early in the morning before school starts, and inevitably misses the odd school day. “It’s very tiring,” he says. He earns 600 Ghana cedis — about $125 — a month, which is not a bad wage in rural Ghana. He sends half of that to his mother in the north, and the rest pays his fees and living expenses. This entry was posted on 05 Dec 2018,03:43PM at 3:43 PM and is filed under Africa, Homepage Latest Stories Slider. You can follow any responses to this entry through the RSS 2.0 feed. Both comments and pings are currently closed.